If you’re a robot otaku who happens to be a Star Wars otaku, too, then this video is for you. 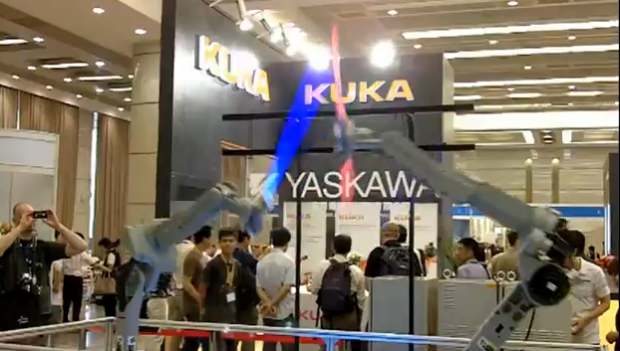 Japanese robot maker Yaskawa recently showcased its Motoman 7-axis robo arms at the International Conference on Robotics and Automation in Shanghai (which ends this Friday). As you might remember, the Motoman can make pancakes, too.